Planet Earth is home to a stunning array of ecosystems, from snow-covered Alpine mountaintops to hydrothermal vents deep within the ocean. 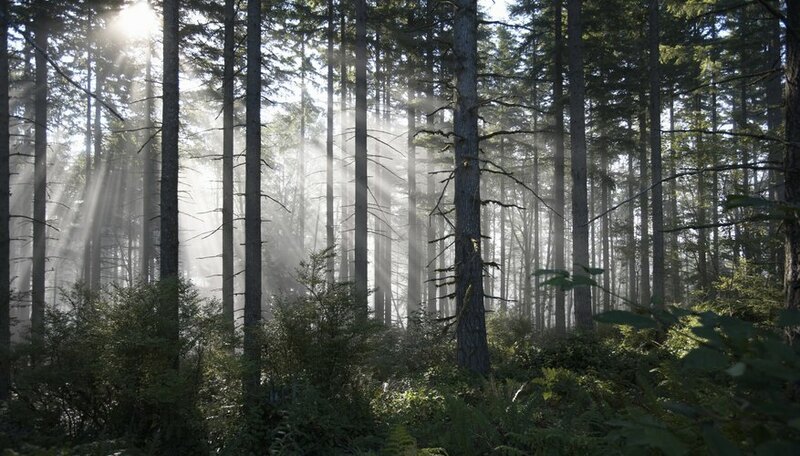 Ecosystems come in various sizes; they may be as small as a grove of trees to as large as vast boreal forests. The definition of an ecosystem can be deduced by splitting the word into two component parts: “eco” refers to living things in their natural environment, and “system” refers to the interactions amongst them. Regardless of size or location, three energy roles in any ecosystem are essential to its continued function. To understand the three energy roles, it is helpful to first be familiar with the way in which energy travels through ecosystems. Most energy in ecosystems comes from the sun, entering as light, then being converted to chemical energy and ultimately leaving the ecosystem as heat energy. However, energy can exit the ecosystem as heat during any point in the process, which means that energy availability decreases along a continuum. Once energy enters an ecosystem, its transfer basically boils down to which species feed upon which other species. Plants in an ecosystem are considered primary producers because they supply nearly all of the energy, or food, that other species need to survive. Plants -- including flowers, trees, seaweed, algae and much more -- sustain themselves not from other species in the ecosystem, but from mere sunlight. Through photosynthesis, plants convert solar energy into chemical energy in the form of sugars, which they essentially use to feed themselves. Also, these sugars combine to form cellulose, the fundamental building block of the plant itself. Plants provide energy to consumer species, which include animals of all types, from bees to lobsters to rabbits to humans. Consumers may obtain their energy directly from primary producers, from other consumers or from a combination of both. Those who get their energy by eating primary producers are known as herbivores, those who obtain their energy by eating other consumers are called carnivores, and those who acquire their energy from a mixture of producers and other consumers are known as omnivores. Most humans fall into the omnivore category. Consumers of all types, as well as primary producers, produce waste, and eventually, they perish. Certain species get their energy from consumers' waste products while they’re living and from their remains when they’re deceased. These species are known as decomposers and include types of bacteria, fungi, worms and more. Decomposers are the final actors in the movement of energy through an ecosystem. During the decomposition process, all energy remaining in the ecosystem is released as heat, which then disperses. This explains why compost piles and garden mulch tend to emit heat. Harris, Amy. "Three Energy Roles in an Ecosystem." Sciencing, https://sciencing.com/three-energy-roles-ecosystem-16012.html. Accessed 19 April 2019.